Our readers are our writers. Email us a writeup of your cruise from Durban to Mozambique, and we'll send you a travel voucher, to use to discount your next cruise. Value for money, I think the best cruises in South Africa are from Durban to Mozambique - Maputo, Portuguese Island and Pomene (a new destination, which we recommend visiting). with plenty of options to book on the MSC Musica and MSC Orchestra cruise ships. The cruises to chaotic Maputo are more interesting from the point of view of studying a city in renewal and getting a feel for its rich history. Keep an eye on the Port of Maputo, the amount of commodities shipped from Mpumalanga through the Port off Maputo is steadily growing, as producers realise that Maputo is closer than Richards Bay or Durban. And, speaking of Richards Bay, keep an eye out for the flotilla of coal carrying ships making their way up north to export South Africa's black gold. 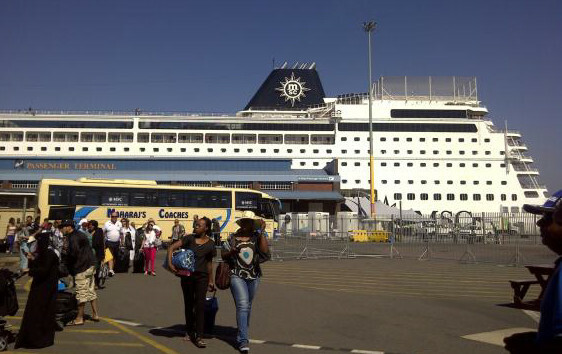 Too many people arrive at the Durban cruise terminal without the proper travel documents (especially for children), and miss out on their cruise. Yes, you are cruising out of South African waters into Mozambican territory, so you do need a passport to cruise to Mozambique. SADC citizens don't require visas to cruise to Mozambique. Note that it is possible that the visa and passport information on this page gets outdated before we have a chance to update, so it is critical that you double check what travel documents you need with your travel agent. Visa Requirements update: Non-SADC passport holders must obtain Mozambican visas should they wish to disembark the ship at any Mozambique Port including Portuguese Island, Pomene, Maputo and Ilha de Mozambique. Through negotiations, the Head of Immigration and Maputo Tourism Authority have confirmed that MSC Cruises passengers are no longer required to obtain a visa prior to embarkation. 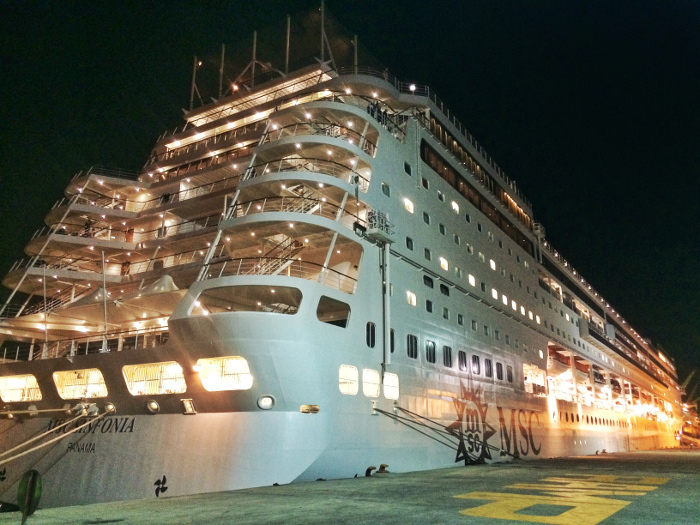 The MSC Cruises Immigration Purser will assist non-South African passport holders that require a Mozambican visa. The Mozambique immigration officer will issue a manual visa on board: This is a non-biometric visa, the visa is only valid for daily disembarkation at Mozambique ports of call for the day, the visa will not be valid for pre or post cruise travel in Mozambique, the visa cost is US$50 (19 Jan 2018) payable on board, and the visa will be valid for 2 entries. As with all government immigration laws this is subject to change without notice. For additional information on visa requirements; please contact your nearest Mozambican Consulate or Visa Service Provider. Consulate for the Mozambique Consulate –Johannesburg"
Everybody travelling with children please remember to take their unabridged birth certificate with you which clearly spells out who the parents are, and that the parents are accompanying him/her with the correct travel documentation. 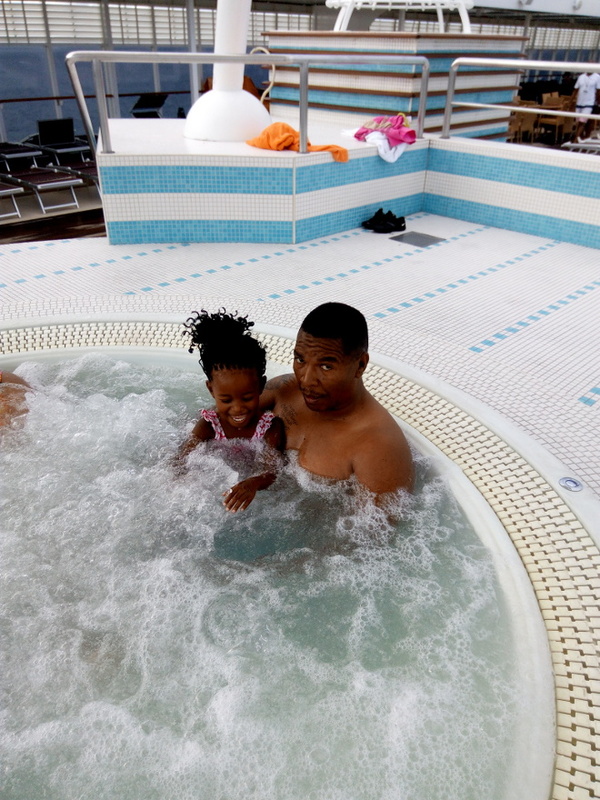 There have been too many heartbreaking stories of families who have missed their cruise as a result of forgetting the unabridged birth certificate. The enchanted island of Pomene is home to some of the rarest sea creatures in the world. You will get to snorkel through the most beautiful coral reefs while getting a front row seat to the mysterious world below the crystal blue waters. Scavenge through the floating forests, also known as mangroves, surrounding the island. Take a giant leap out of reality by horseback riding on the long stretches of ivory white beaches and mingling with the islands locals. The people of the Pomene island are known for being warm, hospitable and very eager to introduce you to the wonders of their magical island. They value the authenticity of their surroundings and will show you ways and means on how to respect and protect the vegetation while still being able to immerse yourself in this truly magical experience. Whether you would like to sit on the beach and soak up the rays of the burning tropical sun or put on your adventurers hat and go explore and entirely different world, the Island of Pomene has something for everybody. The reason for cruises to Maputo, Ilha de Mozambique and Portuguese Island being so great, is the warm water and being in a tropical paradise...as you pass into a foreign country, leaving all your worries on the other side. Others can put it far better than me, so I've bunched together a set of writeups which our readers have been kind enough to supply. 2015-12-03 Rating 4/5: The best things in life are free – well, in this case a 4 night cruise complimentary from MSC Cruises and our company, South Africa Travel Online. 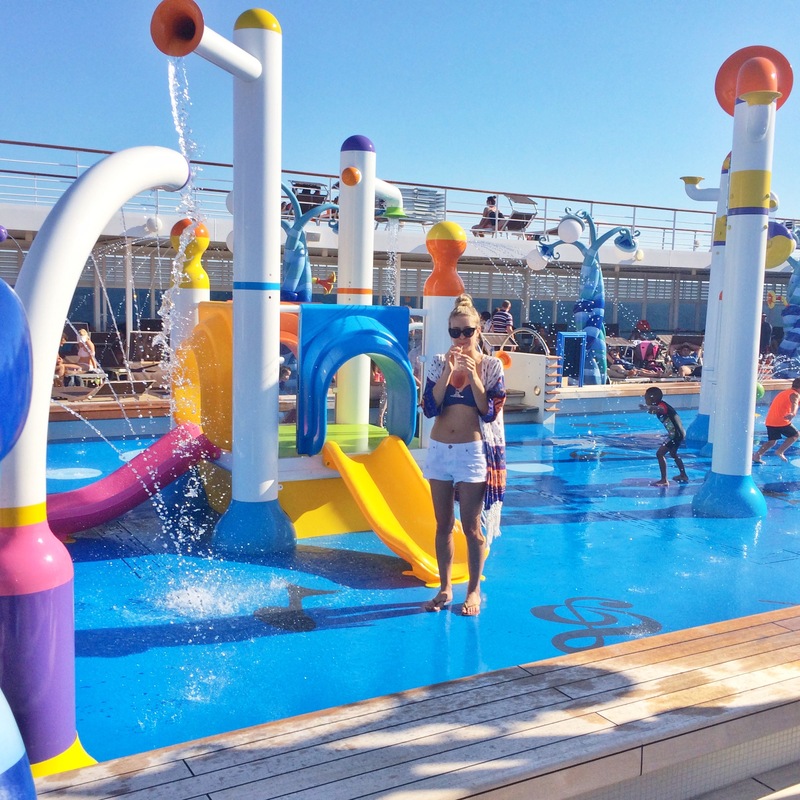 When we heard we can test the waters for the first voyage of the renovated MSC Sinfonia to Maputo and Portuguese island, I couldn’t wait to pack my sunnies and flip flops for a quick breakaway. 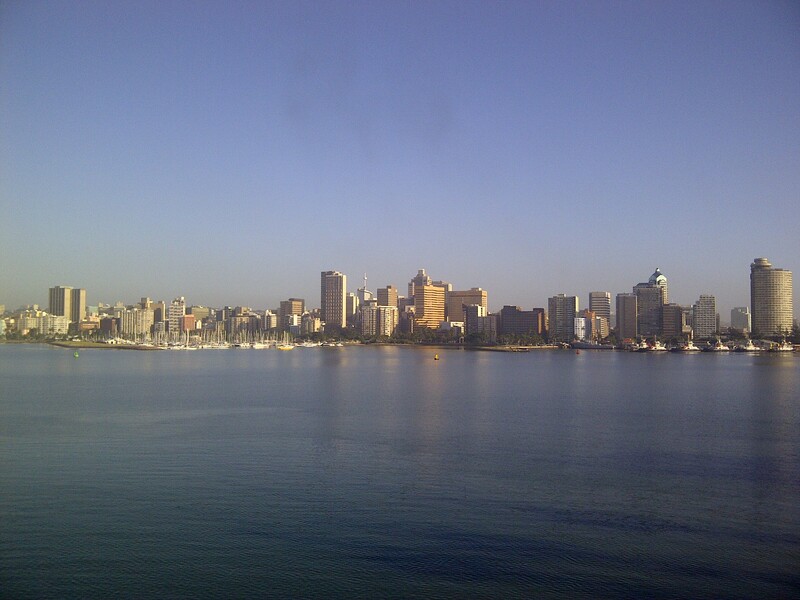 We took off from Cape Town (not too early) on the Thursday morning and arrived in Durban just before 11. Our flight times were pretty well coordinated with the time we had to catch the shuttle to the port, as check in for our departure only opened at 11:30. Arriving at the area where the shuttles would pick us up (easy to find - next to the huge Mugg and Bean), one of the ladies working there told us that we will wait quite a while at the port and there are limited facilities available, so best to grab a bite to eat or relax at the airport first. We settled into holiday mode quickly with a cold draught (yes, Durbs is very hot and humid!) and then hopped on the shuttle at about 1pm. Once at the port, we saw the excitement dampen down a bit. As you might know, a larger Sinfonia means a lot more passengers and all of them have to check in and go through immigration. Have to say, that R200 bucks for fast track was probably our best decision for the year. You can skip the lines at check in to go into a separate queue and we were fortunate that the one for immigration was very short as well. If you didn’t book fast track, prepare yourself for a wait. But don’t get worked up – best way to stay in holiday mode is not to get fussed. 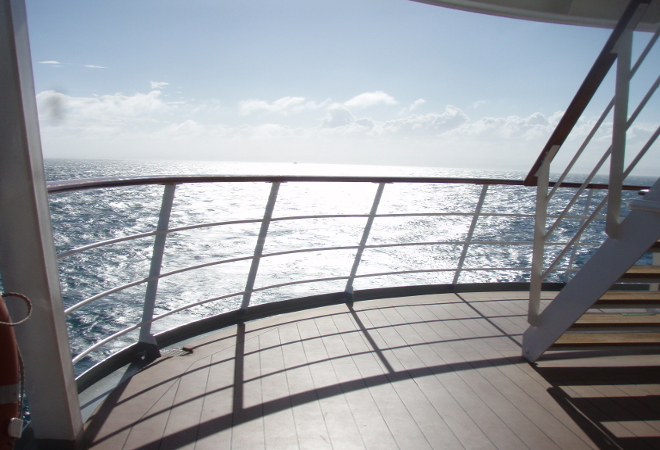 Take some water along and catch up with your cruise buddies or family. The cold cocktail once you get on-board will taste like heaven! As you start embarking the ship, take a moment to marvel at the size of it. A gigantic hotel that can stay at sea for months through all kinds of weather conditions takes some impressive engineering. This is also the part where you can take shameless selfies – the holiday is officially starting! The crew is still busy distributing the checked luggage and preparing the cabins, so take the time to have a cocktail, explore the different areas of the ship, head to the pizzeria for a snack or register your card for payments. When you get to the cabin, a programme will be available so you can see what is on the line-up for shows or entertainment by the Dream Team (the entertainment crew). If you would like to watch a show at a specific time, there are kiosks where you can book it to ensure all of you have seats for that time slot. We accidentally missed our dinner at 18:00, so decided to watch a show and then had dinner at the buffet. Food review? As you might know, the chefs prepare food non-stop for more than 2500 people, so don’t expect gourmet meals. But there are a lot of good options, so best to try all of it and then decide what you like. If you need a lot of fuel, you can dig in, as there is plenty for everyone. The excess of food can get overwhelming though and make you feel bloated, especially if you’re on the cruise for a few days. I liked the cold cuts and cheeses with fruit; the Indian food is also worth trying. The pizza is always a good call and made fresh (on the outside deck), but you also might not want to eat that the whole time. Balance is key. The seated dinners are quite nice, so if you can attend that, try to do so. If you didn’t get the dinner time you preferred (yes, it happens a lot as there are a LOT of people on-board), adjust your itinerary for the day accordingly. So what is there to do on the ship? This holiday is meant to be relaxing, so we did a whole lot of that. If you like cocktails, it could be an interesting game to see who is the lucky one to get the next round, as the bars can get busy if the weather is nice. If you’re a fitness enthusiast, there is a gym and basketball court; if you like game shows, there are shows and games hosted by the entertainment crew during the day in the different lounges and allocated areas - plenty of activities next to the pool. The kids have their own club and for those that prefer a quieter time, there is even a library. There is a disco for the party animals where you can let loose and show your dancing skills - the best part is that if you have a wonky move, you can blame it on the ship! It does rock back and forwards a bit depending on the weather, so that makes it part of the fun. And after all that partying, relax with a massage or facial in the spa. They have lots of different packages available. 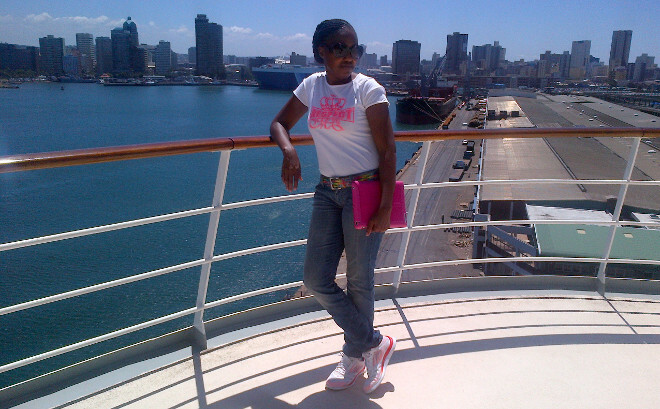 The second day of the cruise we arrived at Maputo – the capital of Mozambique. It is quite exciting to enter the port, as it shows a unique view of the city that you wouldn’t see otherwise. Once there, we could either take the MSC shuttle into town (about 20 USD) or get off and explore on our own. We decided to bargain for a good price with one of the tuk-tuk drivers. They started off with R150 for a return ride to the “Maputo Waterfront” (a popular restaurant) but I told them we only have R50. There were still lots of takers, so we got a guy that seemed the most decent. (Tip: Try to get someone who looks like they can speak some English or learn some basic Portuguese phrases for the fun of it beforehand - their English is very limited. You can get by with miming, but a bit of effort goes a long way.) After our first stop, we asked him if he can drop us off at the central market. We didn’t realise that we had actually bargained for him to take us around all day – he took us to several places and acted as our guide, getting off with us as well or waiting outside. We saw some of the landmarks from colonial times and the market where lots of fruit, vegetables, fish (they have lots of fish as a coastal city), little bracelets and paraphernalia are being sold. Maputo review? It was surprising to see that such an old city doesn’t have a lot of heritage. There are some monuments and museums, but all in all you can get off, take a drive or ride for a few hours and then head back to the cruise. We had sundowners at a hotel in Maputo with a view and some really good fish before heading back to the ship a bit later the evening. Our trusty guide got a bit more than he expected for a tip, as we were grateful that he spent the day with us. The next day the weather conditions did not allow us to get off at the Portuguese island. The captain made this decision based on safety concerns, so though we were disappointed, we made the best of it. By drinking more cocktails of course! 2013-06-11 Rating 5/5 : We went on the MSC Sinfonia and it was amazing. 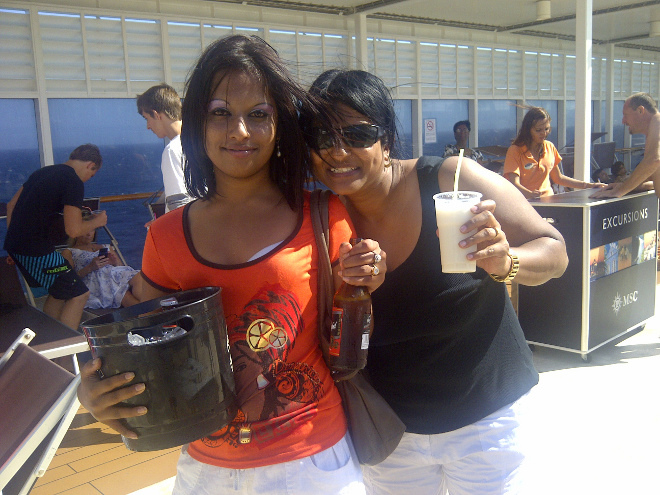 We did the cruise from Durban, Maputo, Barra Lodge and a day out at sea. 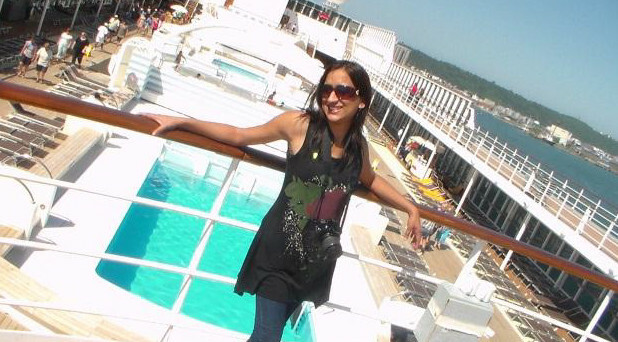 It was a 4 night cruise and it was awesome. 2013-04-08. Rating 5/5 :It appeared to be what we would call a "Blue Monday"… On a dark cold Monday morning, the 8th April 2013, we embarked on a journey never to be forgotten. We had rushed to Cape Town International airport with anticipation and excitement. We had our baggage bubble wrapped, and zipped through Wimpy for breakfast on-the-go. We boarded the Mango flight with absolute ease, until we had realised that this flight was going to be delayed. About a half an hour of anxious waiting for take-off, the pilot announced that they had counted 3 bags too many for the flight. We were told to climb off the plane and identify our baggage. Upon this tedious exercise we were informed that a passenger on the flight had entered the wrong plane. He was supposed to be on a British Airways flight. After this spectacle, and many distressed passengers later we took off into the Cape Town skies to soar into the horizon of the Durban landscapes. 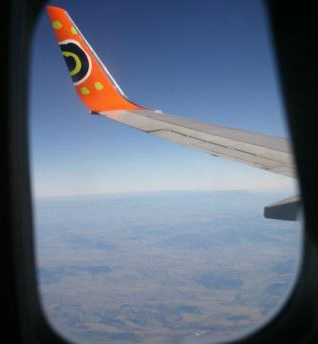 Landing at King Shaka International Airport was both exhilarating and interesting. We received our baggage only to find that one of the suitcases had been badly damaged. At the Mango Baggage Assistance unit we were told that the claim could only be sorted out once we got back to Cape Town. Full of fury and disappointment we decided to continue our journey with an 18kg suitcase which had to be carried as the wheels were not functional and the casing had been cracked. From King Shaka International Airport we were transported by the MSC coaches to the Durban harbour. The drive to the harbour only increased the excitement, for this meant we were closer to the cruise; however we were not aware of the magical awakening which awaited us. As we entered the port, the excitement exploded as we viewed the magnificent blue and white beauty stood parading her hierarchical structure…the MSC Sinfonia! Once we followed all formalities, we embarked onto the majestically awed palace which would be our home for the next 4 days. With swift movements we sorted out our belongings and began exploring this amazing palace. Hearts beating faster and senses heightened we explored each level, each crevice and admired the inner exquisiteness of the MSC Sinfonia. Leaving the harbour was a feeling never to be forgotten, for it was the feeling of this magnificent palace sweeping into the ocean with ease and grace and not forgetting the applauding of all on board whilst the horn of the ship roared into the silence of the sky. 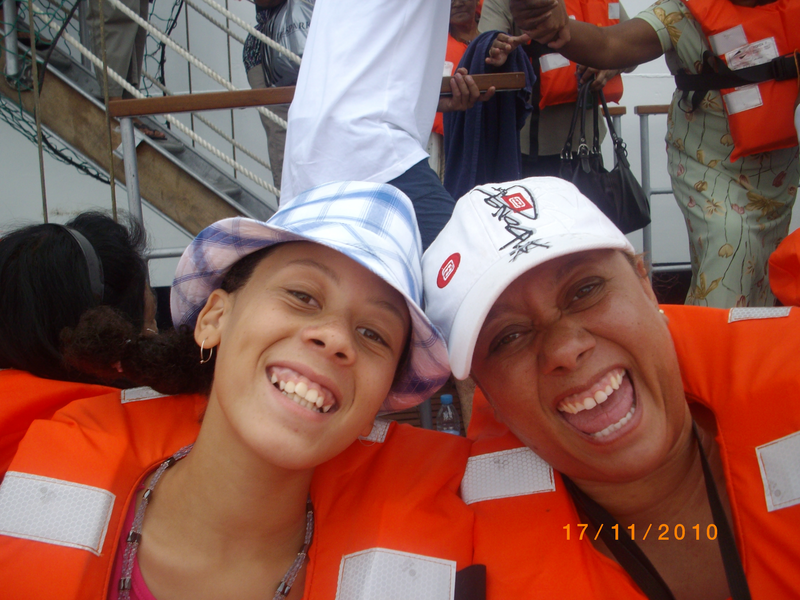 As we set sail to the shore of Mozambique, we were kept entertained with humour, music and beauty which surrounded us. The excitement was unrelenting… As dawn appeared on the 9th April 2013, the shores of Maputo, Mozambique appeared in the horizon. People gathered on the highest decks to view the beauty which surrounded us, and we as the usual tourists, gathered amongst all to click away on our cameras, with the hope to capture all the beauty our eyes had beheld. The Maputo city tour was interesting and informative. We had a friendly tour guide and a delightful tour group. We viewed many landmarks and learnt about the history of the city. We had the pleasure to shop at a curio market; this was both interesting and exhilarating. I had learnt that I could "actually" bargain and with my newly acquired bargaining skills bought some curios as gifts for the family back home. Lunch at the harbour only meant a spread of prawns, consumed while overlooking the waves of the Mozambique waters crashing against the rocks. 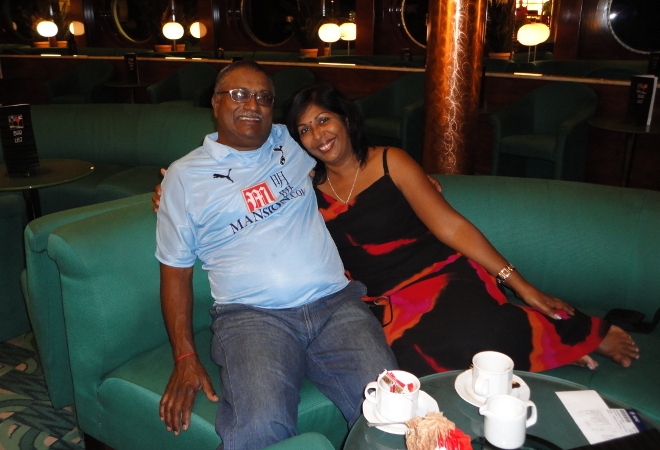 Each evening on-board the MSC Sinfonia, our palace home…we were entertained in a theatre of dreams – watching shows with dances, opera, magical shows and lots of laughter. We even learnt the dances of the countries of the world in a hilarious and comical way. I had finally "let-go" and felt a relaxation which I would not have felt usually. Being totally obsessed with my cellphone, I was forced to let go due to no network coverage. This was both shocking as well as calming as I was able to have fun in a safe, secure and soothing environment. This was a comforting epiphany. Wednesday, the 10th April 2013, entailed a day filled with exploration and adventure. Anchored in Inhambane Bay, we ventured out covered with the orange glare of a life jacket into a motor boat with only the deep blue ocean surrounding us. The speed of the motor boat allowed us to view the ship as a lesser significance as we convened a "wet-landing" on the warm shores of Inhambane Bay. The sun scorched and the tropical heat of these shores welcomed us as we entered onto the warm sand beds. We had booked 2 excursions, namely a snorkelling with seahorses experience as well as quad biking, only to find disappointment knocking at our door. We were told that the snorkelling with seahorses was overbooked and therefore we were taken off the list as we had another pre-booked excursion. Disappointment overwhelming, a feeling of helplessness and bit of wanting to complain to someone remained for a short while before deciding to explore the beauty of our surroundings together. This trip was OUR trip and nothing would get us down…besides we still had the quad biking on the list of "to-do". Soon our exploration had commenced and the overwhelming bliss of appreciating nature had taken over. We walked many kilometres, from Barra Lodge to Flamingo Bay. (In fact we still debate how many kilometres we had walked that day). We inspected crabs, starfish, octopus and sea snail which we videoed in the Flamingo Bay lagoon. As nature lovers and people who appreciate the beauty of the ocean and its inhabitants, we were in absolute euphoria. With increased jubilation, we decided to swim in the cool blue waters of the shores of Inhambane Bay. Lunch followed with a quite interesting concept…Prawn in a Mug! Delicious lemon buttered prawns and calamari with a spread of rice filled us for the day as we still had much to do…and off we went to the quad bikes. Riaaz experienced his first quad bike experience, gracing the dunes of the Bay. We raced passed the villages up to a forestation to view the entire bay. My heart was racing, faster than a cheetah; however this experience was adventurous with the aim of enjoyment. Totally worth the wait! 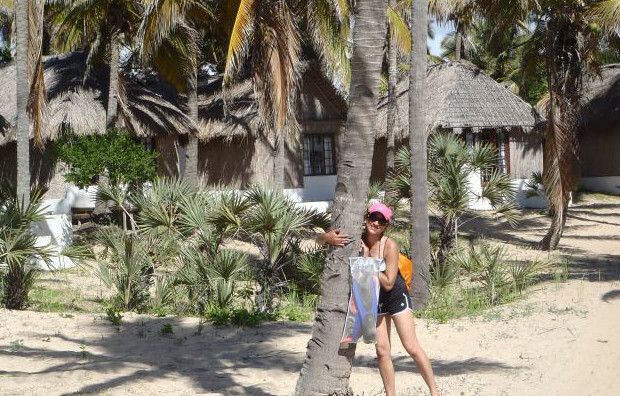 We definitely explored all the beauty of Inhambane Bay – a beautiful, island-like city. Exhausted but fulfilled from the activities of the day, we continued back to the ship for more on-board activities. 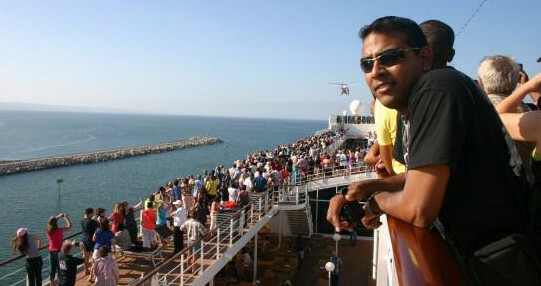 Day 4, the 11th April 2013 – the MSC Sinfonia set sail back towards Durban in rough seas. The graceful ocean had turned into dark blue resentful seas. Resentful, as we felt this jubilee coming to an end as the trip would soon be yet a memory. I had a bit of motion sickness but it soon was overcome once I explored the decks to view the beauty of the swells crashing against the ship. This was not going to let us down as we continued with our ventures of magic shows, musicals and a roar of laughter from a talentless show where the crew performs and ensure the humour has been embedded. 12th April 2013, our final morning consisted of an early awakening before sunrise. We sat drinking coffee on the 12th deck of our palace for the last time, to view the MSC Sinfonia dock in the Durban harbour. A sadness overcame us as we accepted that this remarkable trip was coming to an end, but never to be forgotten. We had met exceptional people, made lasting friendships and learnt things about ourselves which will remain for an eternity. Shark Cage diving experience at a reduced rate. We were beyond words as we dived into a cage which was situated in a tank filled with vicious predators of the sea. We also had the great opportunity to view the magnificent and graceful dolphins at the dolphin show. These extraordinary mammals left us in awe of their intelligence and beauty. From Nisha and Riaaz – "No beauty can capture what the eyes can see…but the memories will live on forever in our hearts…"
2013-05-10. The next time you cruise into Maputo you may be guided into the harbour by a brand new pilot boat - the Interceptor 48 pilot P8 has arrived from Safehaven Marine in Ireland, for use by P&O Maritime in the Port of Maputo.